The quality of Nzingah Oniwosan’s life was poor, at best. After suffering through a lifetime riddled with illnesses including childhood obesity, Oniwosan—a passionate and talented interdisciplinary artist—was told she wouldn’t live a long life. A brain tumor, though benign, combined with a rare and painful autoimmune disorder led to a prognosis that nobody, let alone a driven and fiery 30-something, wants to hear. “I would have to be on medication for the rest of my life,” she says. 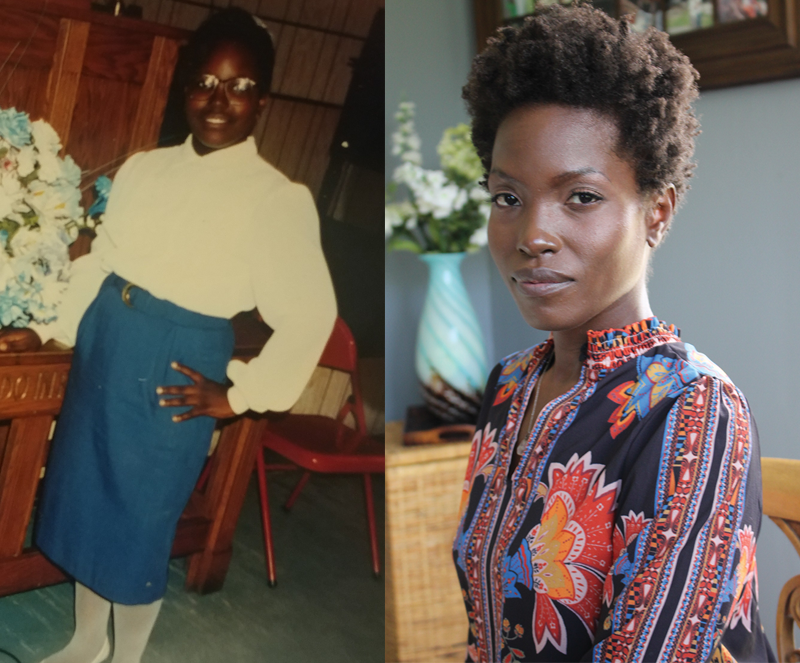 “If not, I would have organ failure … and much more.” Oniwosan suffered from debilitating migraines, bouts of uncomfortable hay fever, and unending doctor visits with multiple specialists week after week, but it all changed when she learned about the powerful healing properties of raw vegan cleanses. Feeling as though this was her last hope, she went all in, swapping out animal products and processed foods for nutrient-dense foods in their wholest forms—namely fruit and vegetables, leafy greens, herbs, and lots of water. “I learned how to make food my medicine,” she says, adding that her raw veganism also resulted in the re-emergence of her period, which she hadn’t had in years. “The plate became my canvas,” she continues, “which I transformed into an art piece by mixing and blending different vegetables, fruit, herbs, and spices.” Now, Oniwosan—whose life was once dictated by around-the-clock prescription pills that seemed to do no good—is no longer on any medication, has a regular menstrual cycle and balanced hormones, and her painful autoimmune disease, scleroderma, is in remission. She was so moved by her own healing that she has since devoted her life to providing holistic health nutrition services and plant-based cooking classes to those who suffer as a result of their diets. To say Oniwosan is thriving would be an understatement. She is happier and healthier than she ever thought possible, and she’s determined to do her part to help others find the same deep healing by way of eating plants. Jasmin Singer, the Digital Director of VegNews, and documented her own story of how veganism saved her life in her memoir, Always Too Much and Never Enough.